One of the most common solar-related myths out there is that it’s mostly just the rich who are going solar. We’ve seen indication in the past that this stereotype was not true. However, a study just released by the Center for American Progress (CAP) is certainly the most recent and most comprehensive study on the matter that I’ve seen. 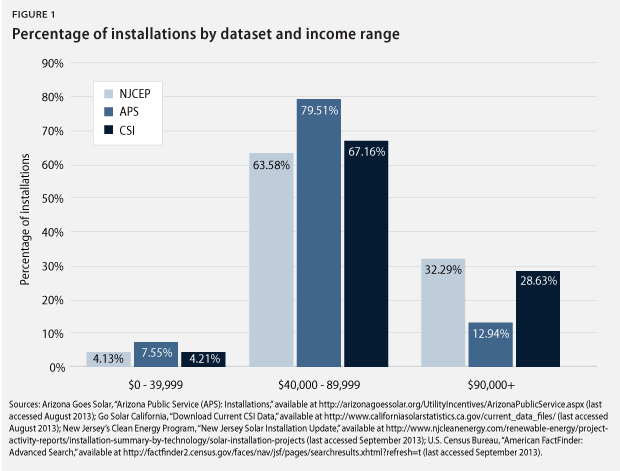 “The CAP report used residential solar installation data from the Arizona Public Service (APS), California Solar Initiative (CSI) and New Jersey’s Clean Energy Program (NJCEP) databases to examine solar adoption trends across income levels in the three largest U.S. solar markets – Arizona, California and New Jersey,” Mari Hernandez of CAP wrote on Think Progress this week. The study, Solar Power to the People: The Rise of Rooftop Solar Among the Middle Class, found that solar installations “are overwhelmingly occurring in middle-class neighborhoods that have median incomes ranging from $40,000 to $90,000.” Over 60% of installations were in such neighborhoods. That is surprising even to me. That is very clearly the middle class. So, the next time you see someone write (or hear them say) that it’s just the rich who are going solar, send them here. Also, if you had it in your head that solar was too expensive, that you’re in the middle class — maybe even the working class — and can’t afford it, maybe it’s time to wake up and see that the middle and working classes are driving solar power growth today. 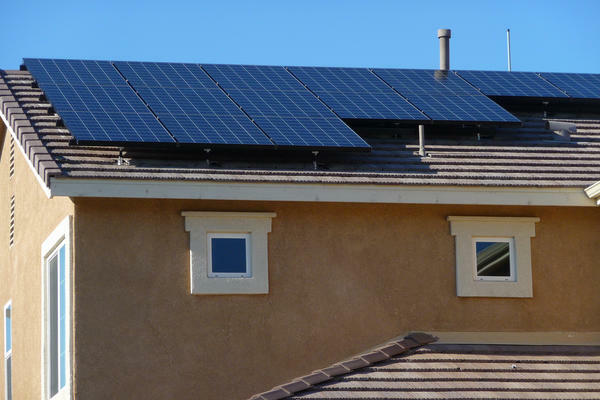 Maybe it’s time to get a solar quote! It makes sense, too. The working and middle classes are more sensitive to electricity bill increase. We’re more affected by that day of the month when we have to send a check to the electric company. Solar power is a light in the smog that can pull us out of that codependency. Saving $600 or even thousands of dollars a year means more to us than it does to the über rich. That’s why thousands upon thousands of middle-class and working-class Americans are switching to solar power. Join the crowd. Go solar.